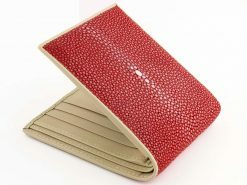 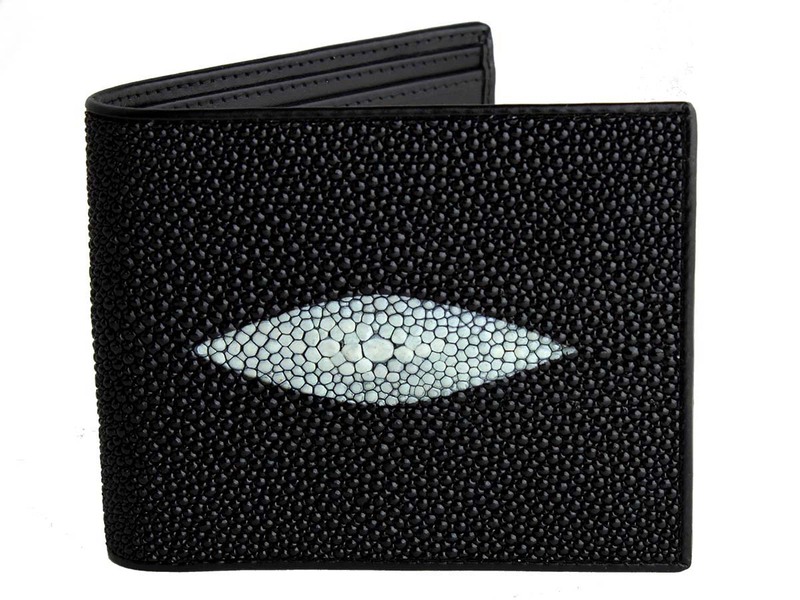 Diamond stingray wallets for men who know how to dress to impress. 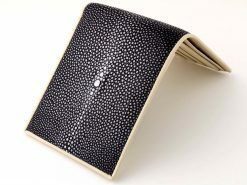 The most popular design for a stingray wallet, black with a luscious cream colored diamond. 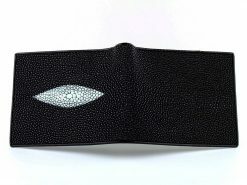 This is one design we can’t take credit for, it’s a true classic that’s been around for years. 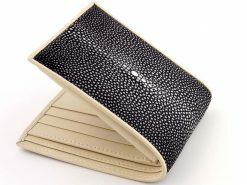 The perfect compliment to a dark business suit but also laid back enough to wear with a pair of chinos. Clean cut and stylish with a black calf leather interior. We strive to maintain the best quality mens wallets available online. 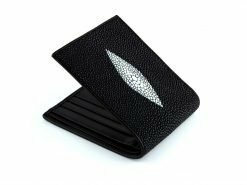 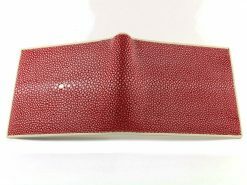 This review is for a “Genuine Exotic Stingray Wallet for Men Classic Diamond ” Pattern Hand Made Billfold. 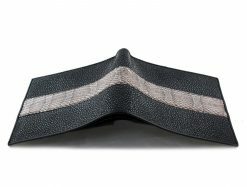 Shipping only took 12 days, I think that’s excellent since I live 6300 miles away and it came hand delivered with signature required for delivery. 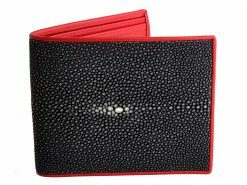 The Wallet is Beautiful!! 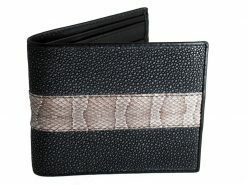 I’ve had it for about 5 days and everyone at my company/friends/family loves it. 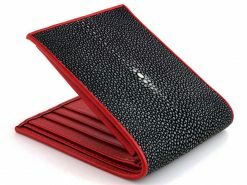 This Classic Billfold Sparkles in the Light and is very impressive at my country club. 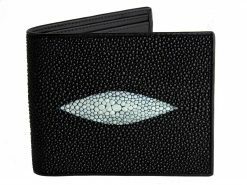 I’m now looking to get a snake wallet.